Watchfire Signs has been selected by the Family Express chain of convenience stores to provide digital signage for its locations throughout the midwest. Named the 2015 Chain of the Year by Convenience Store Decisions, Family Express is pivoting into made-to-order food service and needed a digital marketing platform to communicate to customers. Family Express has installed Watchfire electronic messages centers at nearly 90 percent of their locations to date, according to David Watson, Director of Corporate Programs, at Watchfire Signs. With proprietary brands such as the Cravin’s Kitchen made-to-order food service, Java Wave gourmet coffees and signature hot or iced espresso beverages, and the iconic “Square Donut,” Family Express was looking at digital message centers as a means to deliver dayparted communications to customers, giving them advertising messages that were immediately actionable. 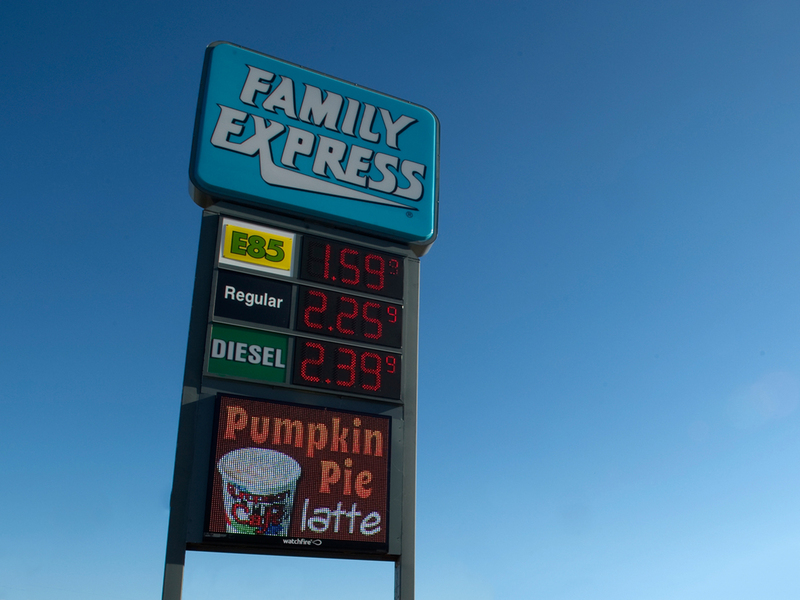 “Family Express wanted a digital messaging platform to complement our daypart marketing strategy, with the ability to customize all of our sign communications with ease on a system that is dependable,” said Gus Olympidis, President and CEO of Family Express Corp. “We chose Watchfire because of their extraordinary relia-bility, the strength of Ignite, their programing software for the signs, and their cor-responding support service.” Watchfire will showcase its full line of convenience store products, including gas price signs and LED message centers, at the NACS show, October 18-21 in Atlanta. Learn more about how digital signage can help you draw more customers into your C-store. Learn how digital signage can help you draw more customers from the pump to the store in our product guide for the c-store and retail petroleum industry.